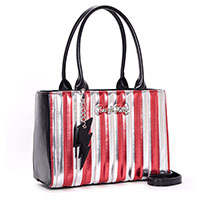 You can earn 95 AYP PUNK ROCK POINTS on this product! 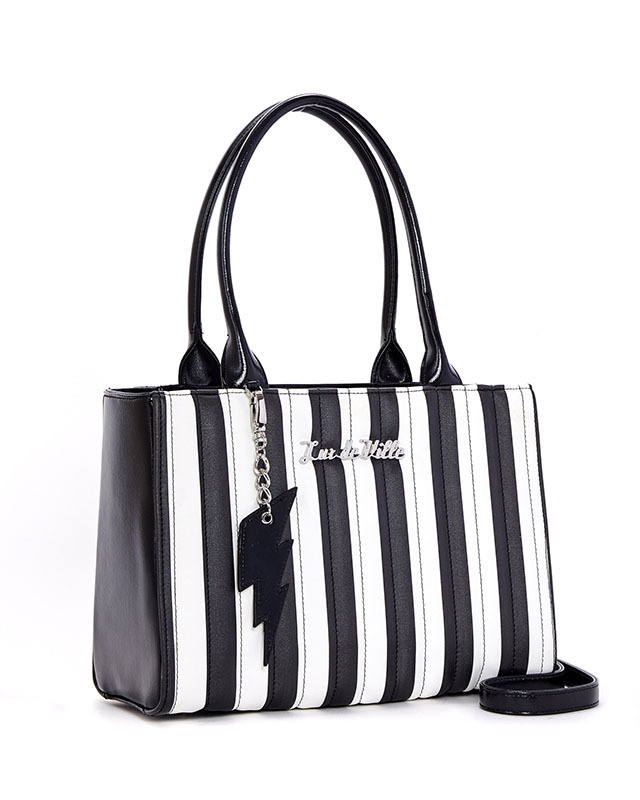 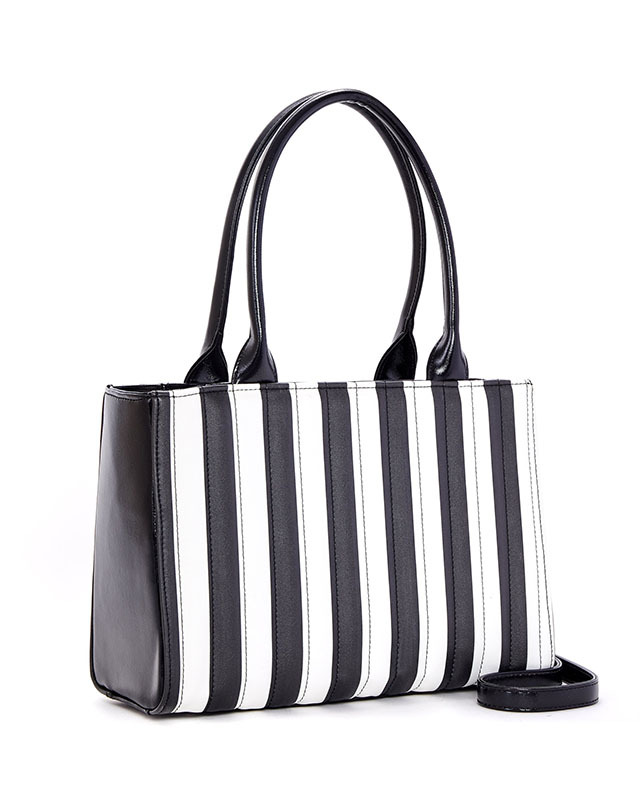 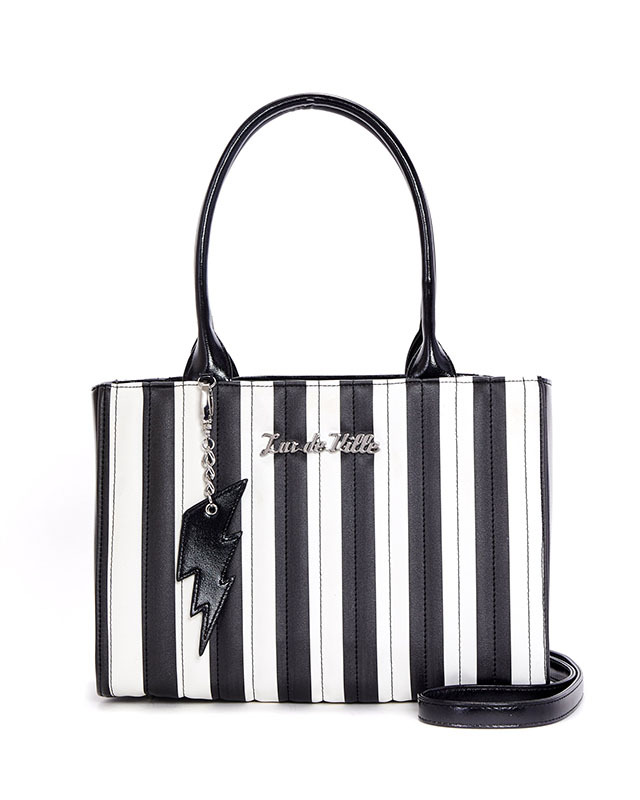 Welcome to our new Lux badass striped totes. 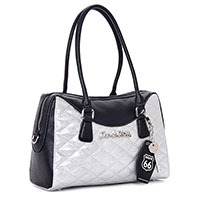 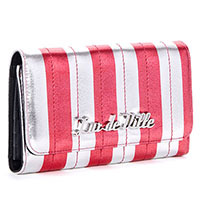 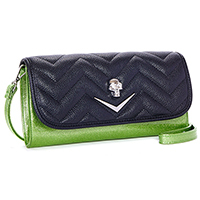 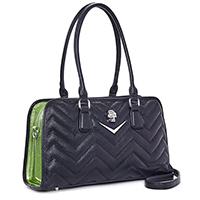 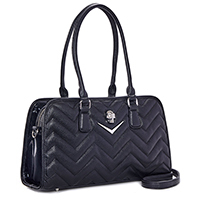 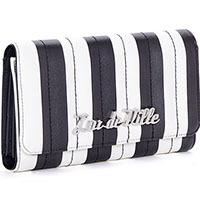 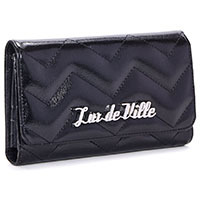 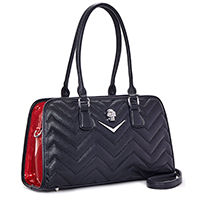 They feature our tuck and roll stitching, detachable thunderbolt bauble and our Lux de Ville logo plate. 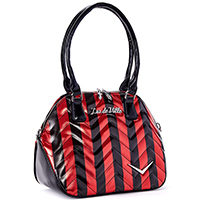 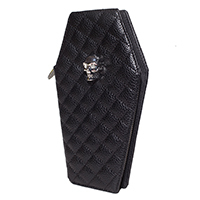 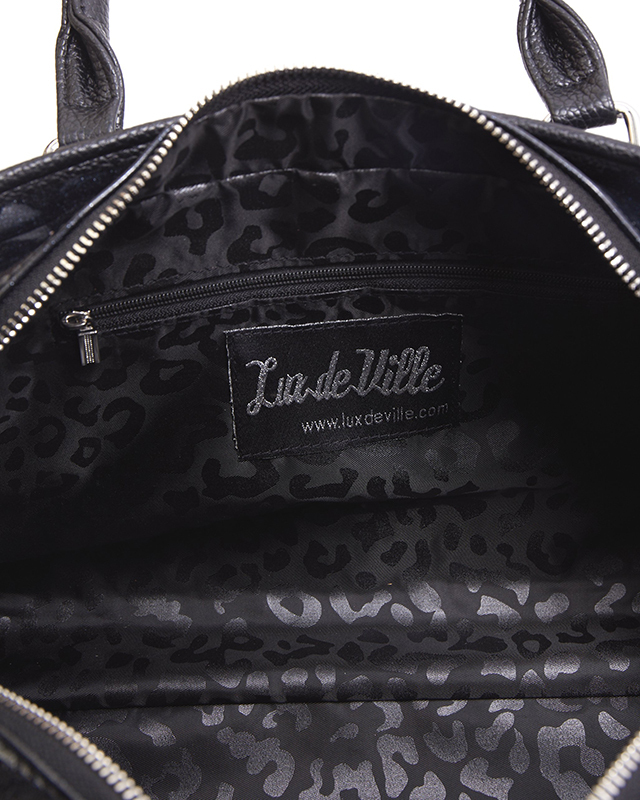 Inside is lined with black on black leopard, has an inside zipper closure pocket and silver bullet feet on the bottom. 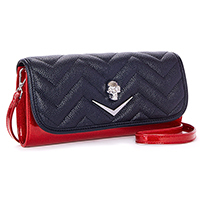 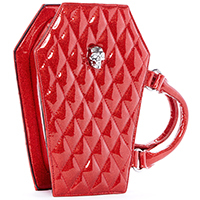 Also comes with a detachable cross~body strap.